Home Tags Posts tagged with "Raghu Dixit"
The country’s biggest beer fest is back for the ninth edition of Kingfishera��s The Great Indian Octoberfest. Besides free-flowing beer, food stalls and a flea market, Bollywooda��s Mika Singh, DJ Jasmeet, Raghu Dixit and One Nite Stand are all set to rock this three-day event. 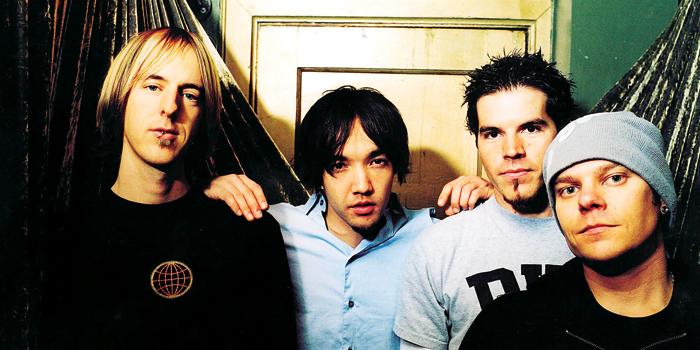 The highlight, however, is American rock band Hoobastank, who will be headlining as they continue their two-decade long stint with their latest album Fight or Flight. Lead vocalist Doug Robb, chats about the album making a comeback with a difference, babies as his inspiration and the quirk behind the band name. I dona��t think wea��ve changed anymore than anyone would over a nearly 20 year span. At our core, wea��re still the same guys who started playing in 1994. Just older and hopefully a little wiser now. Fight or Flight was the first album wea��ve written as a four-piece band all together since The Reason album. Now that Jesse Charland has been in the band for four years it was refreshing to be able to write all together. I think the songs are more a�?completea�� this way. Inspiration comes from all over. Ita��s unpredictable. The birth of my first child was a big inspiration in the emotions of a lot of the songs. Most of the time Dan, our guitar player, will have a riff or idea that hea��ll present to us and it will then evolve into a song. I write the lyrics and they just come from everyday experiences. Never in a million years did I think it was going to be such a huge hit. It was just like catching lightning in a bottle. When I hear it today, it makes me think about how much this song changed my life. We made the word up long ago in high school. If we guessed back then, that 20 years later it would still be a topic of conversation we might have chosen a a�?coolera�? sou-nding name. Music trends always change and are very cyclical. Rock to me though never goes too out of style. Sometimes ita��s at the forefront and sometimes, like now, it isna��t. It will come back again though. It always does. Like I said, its cyclical. The audience can expect a good combination of singles and album tracks that we the band really enjoy playing. At points ita��s high energy and at points it mellows out. We have some shows a few days after Bangalore on the east coast in the USA. After that wea��re taking a little break.